The human instinct to celebrate and enjoy life is not normally something that merits criticism. In fact though I find the YOLO aesthetic that today's hip-hop generate advocates short-sighted and self-destructive, I can reflect back on my teens and 20's and marvel that I'm still here myself. We all get from point A to point B somehow, and if it's at all possible to enjoy the journey to the destination, it beats making yourself a martyr to misery. My emphasis has always been that your good time shouldn't come at the expense of others. If you're going to drink until your eyes roll back into your head, at least do the rest of us the decency of having a ride home, and not plowing headlong into a family of four when you black out. Having established that I'm not against having a good time so long as you can do so responsibly, I'm nonetheless increasingly observant of the tendency we have in the United States to turn any holiday into an excuse to get TURNT UP. There are calendars and posters that mock this behavior by finding seemingly one holiday for every day of the year, regardless of how major or minor it might be, thus providing the minimal justification one would need to get Dead Bent like MF DOOM. The significance of why days are a cause for celebration gets lost in a desire for complete inebriation. * It's NOT Mexican Independence Day - that's September 16th. * It's NOT the Day of the Dead - which is actually THREE days - that starts October 31st. * It's NOT the day Mexico kicked out the French invasion. It marks a single upset victory in a long drawn out occupation of Mexico which didn't end until 1867. * It's NOT a national holiday in Mexico. It's an official state holiday in Puebla, but schools across Mexico still close for the day. I probably have more than a passing interest in seeing gringos like me getting this one right given my wife is a quarter Mexican, although I also appreciate the example she sets by not cheapening the meaning by making a gaudy celebration of it. It's a day that commemorates victory of a smaller army over a larger, better financed and equipped army, but "victory" doesn't mean the winners went home happy. Visit any consecrated battleground and you'll find the winners and losers share the same distinction - their blood was spilled and their lives were lost. "Winning" in those terms is not understood by the participants to the degree it is by the historians. Next year when Cinco de Mayo rolls around, particularly if you're a resident of Los Estados Unidos, I'd encourage you to observe the day with the same solemnity you would Independence Day. Wait - that won't do. The 4th of July is usually an even BIGGER excuse for people to get blind drunk and shoot off fireworks (it's amazing this doesn't result in more tragedies). If you can glean a point from this editorial, it might be that you can at least learn a little more about what you're celebrating, instead of just treating it like $3 margarita night at your local watering hole. If hip-hop did anything right in my youth, it exposed me to a broader world of knowledge than I was being taught in school or in college. 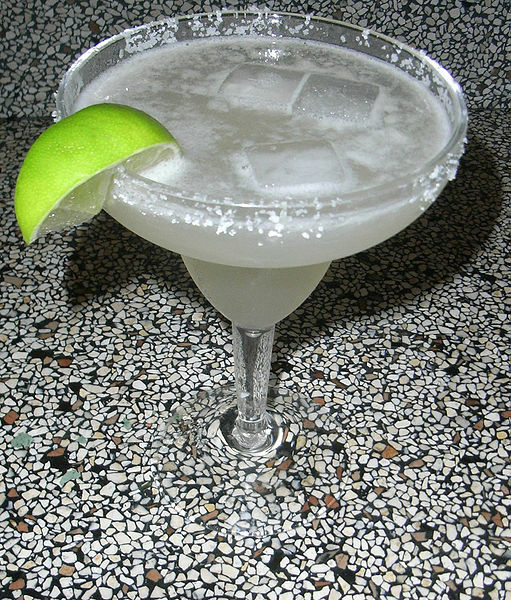 Enjoy your beverages if you choose, but try to mix a little bit of education in along with your tequila and triple sec.